First I'll start with a Quiltspotting and I'm giving full credit to Tanesha from the Crafty Garden Mom podcast and blog for coming up with that term. She spoke about quiltspotting in Episode 19 - go give a listen if you haven't discovered her yet. By the way quiltspotting reminds me of Tastespotting - love that website. 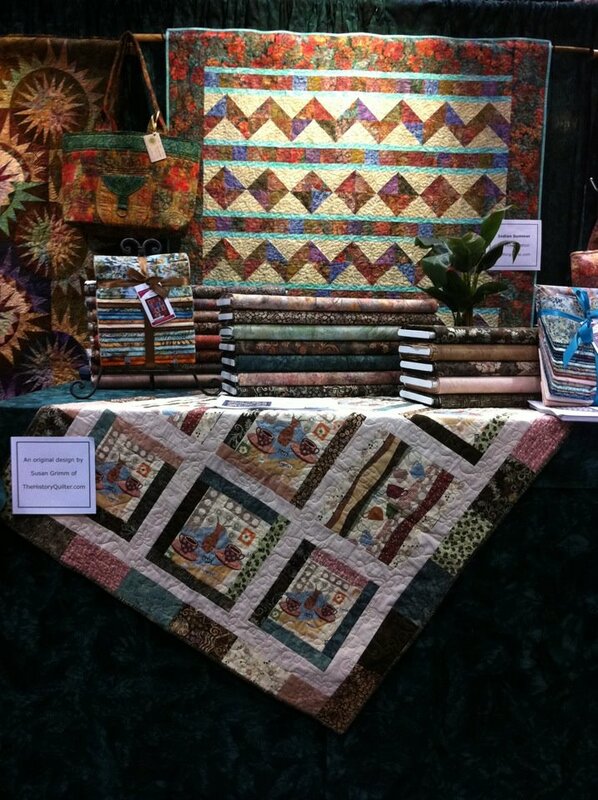 So my Latte Quilt has been spotted in Houston, TX at Quilt Market! Thank you to Marilyn Pond of Marilyn's Maze who visited Houston over the weekend and so thoughtfully found my quilt and sent me a photo. I was so touched when I saw the photo and noticed that the folks at Hoffman Fabrics had attached sign to the front giving me credit for the design. Now on to the Kahlua Brownies. I made these with the intention of enticing my fellow soccer teammates to attend a Friday night game we had a few weeks ago. Don't know if it was truly my brownies, but we had 14 players show up that night - for all of you not initiated in the world of soccer - that means three substitutes! Hard to win games with tired players when not enough players show up. This is a three layer bar which is very rich so cut accordingly. The original recipe is called Chocolate-and-Sherry Cream Bars and I believe came from Fine Cooking Magazine. A quick Google search came up with the same recipe but with no credits to Fine Cooking. I have adapted it to my taste with Kahlua. 1. Preheat oven to 350F. Either grease or lay down parchment paper into 13x9x2 inch baking pan. 2. First layer: In a medium or large saucepan melt the 1 cup of butter and the unsweetened chocolate over low heat. Remove from heat and stir in the slightly beaten eggs, granulated sugar and vanilla until just combined. Stir in the flour. Spread in the prepared pan and bake for 20-22 minutes - you don't want to overcook it. Let this layer cool. 2. Second layer: In a large bowl beat with an electric mixer the sifted powdered sugar and the 1/2 cup softened butter. Slowly add the half-and-half and the 1/4 cup of Kahlua. At this point you could add in the walnuts if you wanted a crunch to balance out the super sweet second layer. I do not. Spread the filling over the brownie crust and chill in the refrigerator until firm. 3. Third layer: In a small saucepan melt the chocolate pieces and 2 tablespoons of butter over low heat. Stir in the Kahlua until smooth. Drizzle this third layer over the chilled filling with a spoon or enrobe the entire layer. 4. Cut into bars and enjoy! Best if enjoyed at slightly colder than room temperature. 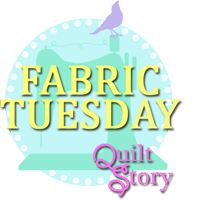 Linking up the Debbie @ Tuesday at the Table and Fabric Tuesday @ QuiltStory. Oh your quilt looks great! I bet that was SO exciting getting that picture! ;-) And the brownies sound delish!! I WILL be trying them! Hope you link up to Tuesday at the Table too! Wow those brownies sound so good! I will definitely give them a try! Congrats on getting to see your quilt at market...so cool! Congrats on the quilt show! That's pretty fantastic! Have you blown that picture up, and had it framed yet? LOL That recipe looks decadent! I'm so excited for you, and to have your beautiful quilt front and center like that is awesome! The brownies? Yum. Thud. Your quilt is beautiful. From the picture it has a southwestern look that reminds me of Arizona where I was born and still have many relatives. Anyway the brownies look so yummy. I also enjoyed reading some of your other posts and will be back when I get more time! Congratulations on having your quilt at Quilt Market! It is a beautiful quilt. I'm so happy for you. What a thrill. 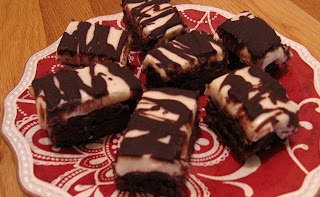 The Kahlua brownies sound very yummy. Thanks for the recipe.